King Concrete is Ottawa's Resort-Living specialist. With a tried and tested install method; we can make your back-yard dreams come true! Our install method allow us to build anything out of GFRC (Glass Fibre Re-inforced Concrete, but retain the strength to stand the test of time in a Canadian climate.. ClifRock Panels are rated at over 10000PSI compressive and 1400PSI flexural strength. This means your project will stand the test of time. Ask us how we can save you time and money, and deliver a top quality, elite product for an outstanding yard. Stamped Concrete is another major portion of our resort living business. With over 25 years combined installation experience, we get the job done right, on time, within budget, and adhere strictly to cold-weather installation methods. Stone, brick, thin stone veneer, concrete block, glass block, cement, landscaping, exotic wood flooring and specialty building supplies from Merkley Supply Ltd. create first and lasting impressions of the buildings they grace. From walkways to steps, patios, walls, fireplaces, hardwood floors and decorative interior features, we supply masonry products and supplies to 80% of the building and renovation projects in the Ottawa-Carleton region. Architects, homeowners, builders, and trades are welcome into our Showroom and well-stocked masonry yard. We’re experts in the product lines we carry, so you can count on us for knowledgeable advice, solid guidance, and extensive product expertise. 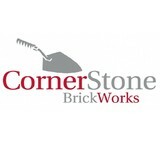 Cornerstone Brickworks is a locally owned and operated masonry company designed to supply Ottawa home owners with quality workmanship and peace of mind in fulfilling all their masonry repair and restoration needs. With more than twenty years of combined experience, we excel at chimney and brick work, no matter the location on your home, but are by no means limited to only brick issues. One look in our photo gallery will display our versatility and the array of masonry work we have dealt with. Cornerstone promises an informative and enjoyable experience, from initial phone call to job completion you will be delighted that you chose Cornerstone Brickworks for all your masonry needs. The Stone Co. is a supplier & installer of one the industries leaders of manufactured stone products, check out our website thestoneco.com to see the vas interior & exterior applications include Feature Walls, Fireplaces, Outdoor Kitchens & yes we can replace that draby looking siding with stone with no need of a Brick Ledge. Our "one stop shop" relives the stress and pressure from the home owners or project managers of scheduling both trades and suppliers. We also guarantee that with each unique installation the stone is correctly installed. 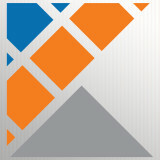 The Stone Co. is a supplier & installer of quality stone products. We offer an exceptional selection of Stone Veneer we have multiple profiles, sizes, and colors, to use in traditional and modern applications.Profiles such as Ledge Stone, Fieldstone, Limestone, etc,and an exclusive selection of Brick veneer. Manufactured Stone Veneer is a lightweight and economical alternative to natural stone. It captures the look and feel of natural stone with a larger range of colours and patterns for a fraction of the overall cost and construction time. 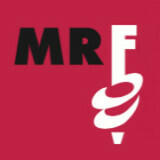 Mr Foundation is a full service foundation repair company. In business for over 20 years. Mr Foundation is recognized as a industry leader and is routinely consulted for its expertise in foundation installation, underpinning, re-leveling of structures, drainage systems, retaining walls, erosion control and other soil related and concrete repair issues. The experienced, knowledgeable staff at Mr Foundation is committed to properly analyzing the problem, designing the appropriate solution and performing the construction services required to provide positive resolution with exceptional quality and service every step of the way. We design and build custom interlock driveways and patios. Rockstar Concrete offers you a wide range of outdoor/indoor contracted services ranging from stamped and colored concrete, acid staining,overlayments for your existing plain gray concrete, or just broom finished cement! From driveway and patio installations to overlays and acid staining we provide the highest in quality craftsmanship and take great pride in the work and services we provide! EverGreen Landscape Ottawa / Interlocking Brick Ottawa has been satisfying clients in the Ottawa and surrounding area since 1984. We believe in offering the highest quality of interlock brands for our Ottawa customers. We carry Techno-Bloc Interlock Ottawa, Permicom Interlock Ottawa and Unilock Interlock Ottawa. Known for their creative talent in interlocking brick projects and having full certification by ICPI ( Interlocking Concrete Pavement Institute) and as a Techo-Pro Certified Contractor - you will be pleased that you have chosen EverGreen Landscape Ottawa, Interlock Ottawa for your outdoor Ottawa landscaping project. Cohen and Cohen now boasts a fine collection of natural stone and landscaping products to facilitate the creation of stylish and unique outdoor environments. Family owned and run business with customer service being number one priority. Welcome to StoneFX Landscape, owned and operated by Gary Minkhorst and family. Gary began working for a pool company when he was in school and discovered a passion that soon became his career. Our goal is to work with you to transform the appearance of your home into a beautiful and enjoyable part of your life. We want to improve curb appeal and property value using quality workmanship and materials. Our passion in our work will give you a great place for entertaining friends, having family gatherings or relaxing in a quiet oasis. At StoneFX Landscape we understand the importance of offering quality work that is built to last. Our passion for exceeding your expectations keeps clients returning and customers referring. Il nous fera plaisir de vous conseiller sur nos différents services. Nous sommes spécialisés dans la construction de bordures et de trottoirs de béton ainsi que la pose de pavé uni. Depuis plus de 25 ans, notre personnel qualifié se fait un devoir de vous créer un coin d'aménagement à la hauteur de vos rêves. Ottawa Interlock - Landscaping Contractors in Ottawa Our experience in landscaping makes us one of the leaders in the beautification of outdoor spaces in the Ottawa region. Manuel Clavette, owner and operator, is an expert in landscaping, interlock pavers, fencing, decks and gardens. Our goal at Ottawa Interlock has been to serve the Ottawa, Nepean, Kenata, and Orleans region with exemplary landscaping services. We pride ourselves on our professional and courteous staff. Our objective is to ensure clients are satisfied with the work we complete on their property. Therefore, Ottawa Interlock is dedicated to hiring only the best in landscaping staff. Our employees always put the customer first, and are trained in all forms of landscaping. Our Stonework Services include: Flagstone, Natural stone, Armour stone, Interlock/Pavers, Driveways, Pathways, Patios, Pool Decks, Garden Walls, Steps, Retaining walls, and Fire pits. Deck Building Services Ottawa Interlock is a designer and builder of custom decks and outdoor living projects. We specialize in a variety of deck building materials and railing systems, ensuring an outdoor oasis that suits your lifestyle. Fencing Contractor Ottawa Interlock has designed fencing and built fences in Ottawa and the valley region. Our company services homeowners, property managers, builders, and renovators who wish to make their fence designs a reality. Aluminum Fences, Chain Link Fences, Metal Fences, Steel Fences, Vinyl Fences, Wood Fences, and Wrought Iron Fences. At Ottawa Interlock, we understand what it takes to make our clients happy. Our team will work its hardest to ensure your complete satisfaction. It is always our goal to provide: Free estimates, Design work, Quality work at competitive prices, Detailed cost breakdown of the project and Detailed scheduling. Give us a chance to earn your trust and your business. We’re absolutely sure you’ll be happy with our entire landscaping process from sales to the finished product. Call us today (613) 319-0709 for a quote in your next landscaping project. Kanata Stone Supply is a full service One Stop STONE Shop. We occupy a new 3000 square foot retail stone facility in the heart of the Stittsville/Kanata area. Kanata Stone Supply is one of the only Authorized Dealers for OAKS Concrete Pavers from Brampton Brick in the area. We carry a large selection of in stock products from a variety of distributors to get your job done effectively and efficiently. Whether you’re a gardener, contractor, decorator, landscaper or do it yourselfer - Kanata Stone Supply has everything you need to give your home curb appeal! For the most part, people hire a stone or concrete contractor for large installations like driveways and walkways, or for home facades and exterior columns. These brick, pavers or stonework installations can add lots of functionality and visual curb appeal to your Ontario home. Pavers come in a wide variety of colors, shapes and sizes, and the right vendor or specialist can help you choose a color and design that complements your existing landscaping. From installing new exterior columns to repairing your chimney, masonry contractors can help you add both visual appeal and value to your property. They’ll know what kind of installation makes the most sense for your Ottawa, ON climate and regional style. Looking for something that will develop a patina with time? Or would you rather have your home feel brand new for years to come? Choosing the right kind of stone involves thinking about the future, too. Experienced brick suppliers and stone suppliers can help you find the material that will work for your home now and for years to come. These professionals aren’t limited to exterior work either. Whether you want a split-stone granite wall in the kitchen or need help installing traditional brick masonry on your fireplace facade, you’ll want a professional to get it right. If you’re already working with an architect or designer, he or she may be able to suggest a good Ottawa, ON subcontractor to help out. Here are some related professionals and vendors to complement the work of stone, pavers & concrete: Landscape Architects & Landscape Designers, Architects & Building Designers, Garden & Landscape Supplies, Driveways & Paving, Siding & Exteriors. Find stone, paver and concrete professionals on Houzz. Search the Houzz Professionals section for Ottawa, ON stone, paver and concrete professionals. Browse photos and read reviews, and contact a pro if you like their work.